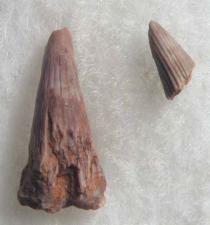 small deeply grooved form and these large, more shallow grooved type. 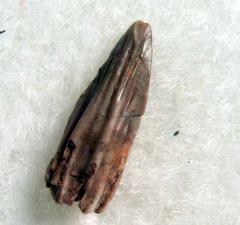 held over from the Permian. 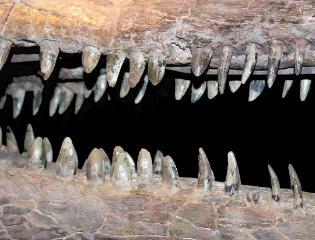 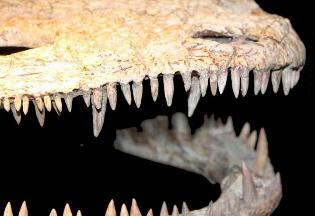 similar to those of the phytosaurs. 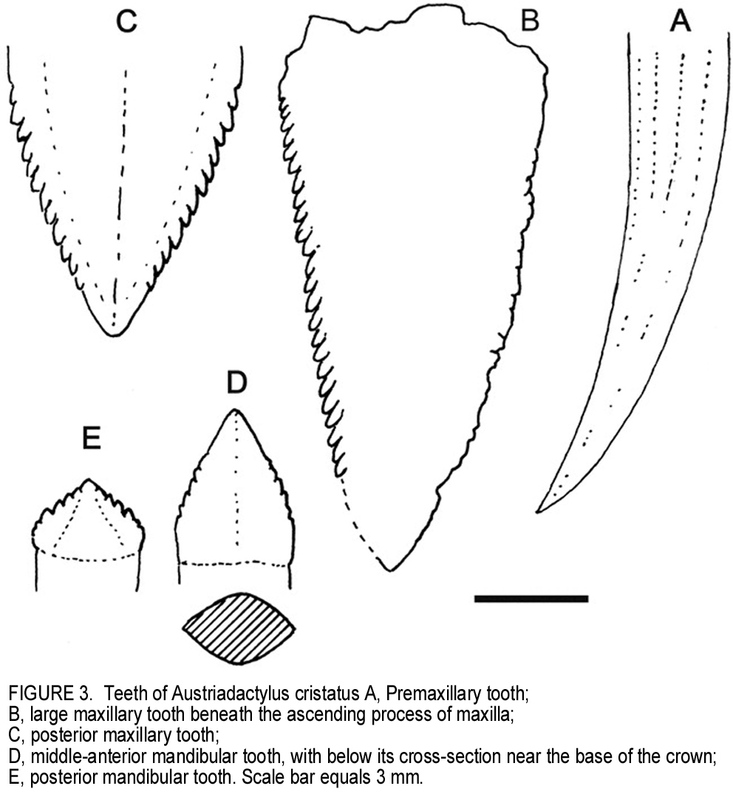 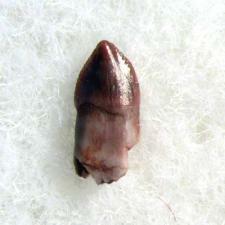 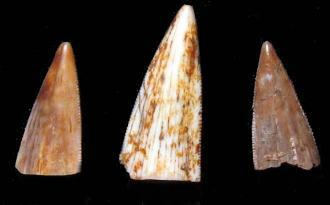 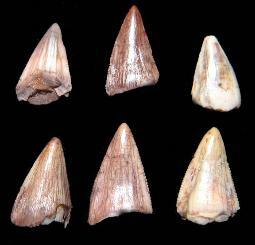 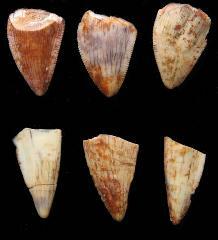 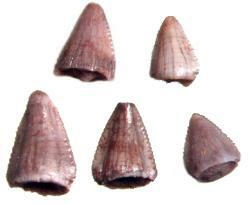 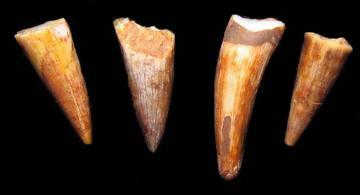 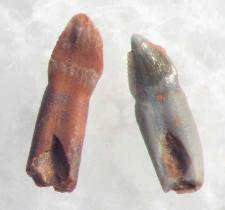 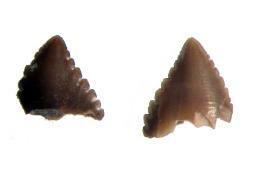 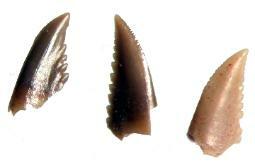 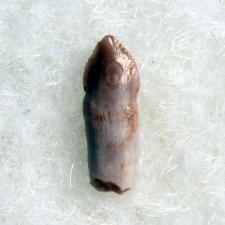 nice, classic predator teeth measuring ~3mm long. 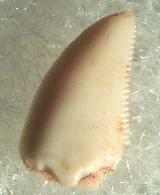 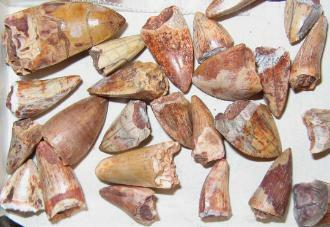 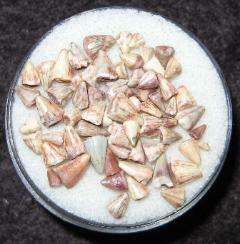 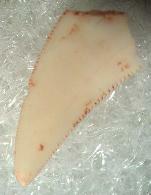 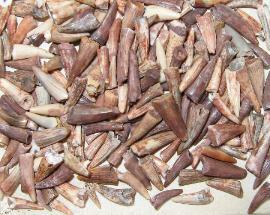 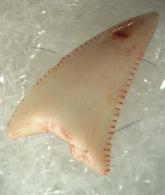 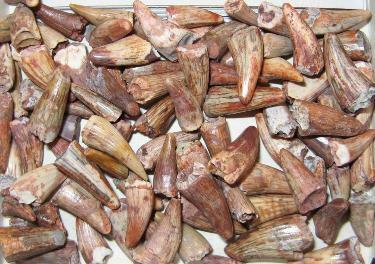 Very good quality teeth showing nice enamel and serrations. 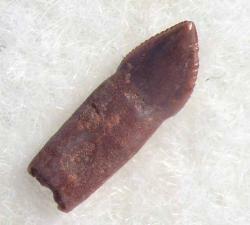 ~3/4 of an inch to one inch long (~20 mm). 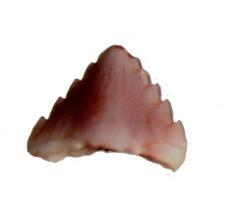 and quite an exotic species. 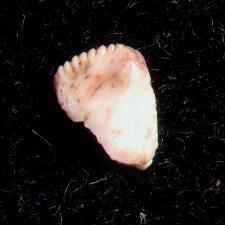 the carinae. 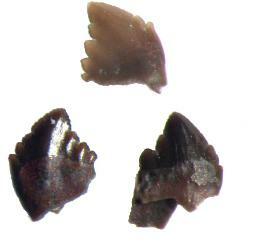 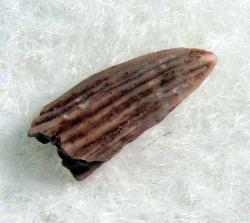 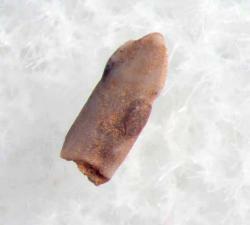 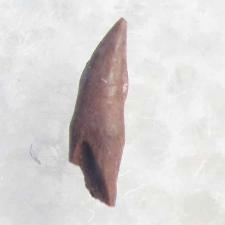 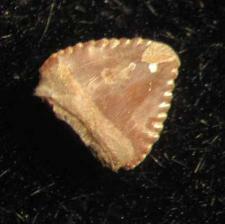 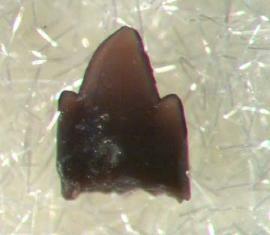 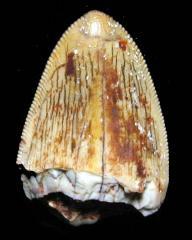 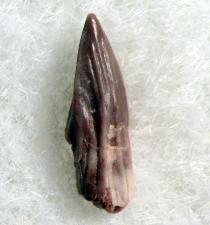 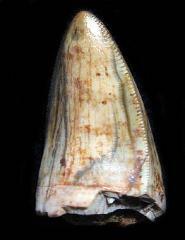 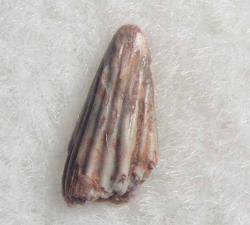 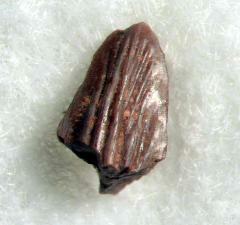 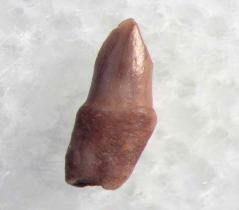 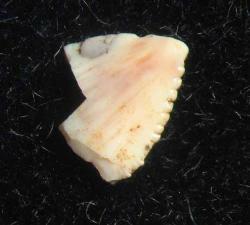 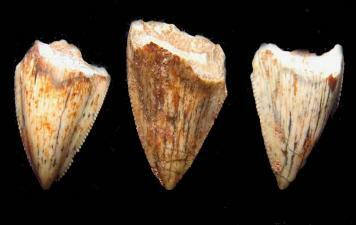 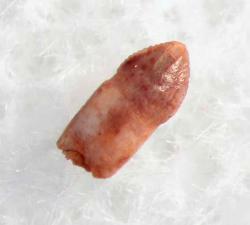 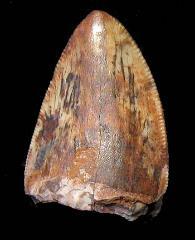 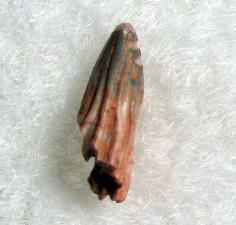 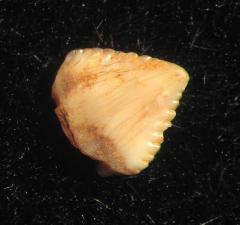 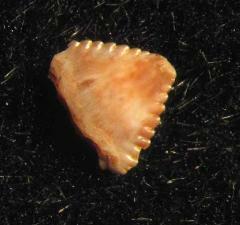 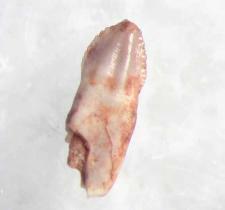 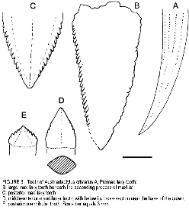 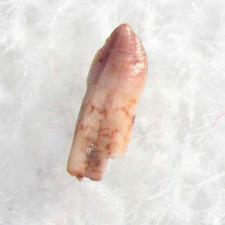 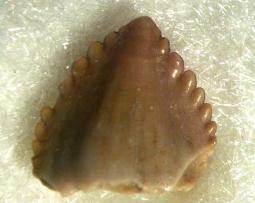 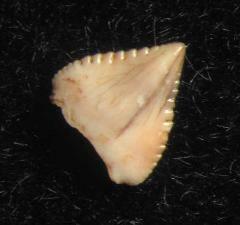 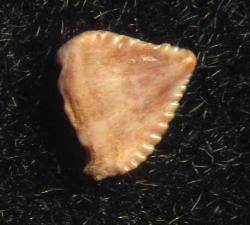 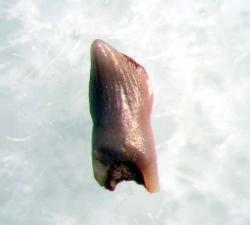 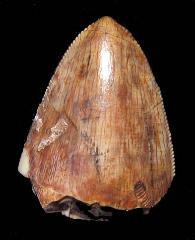 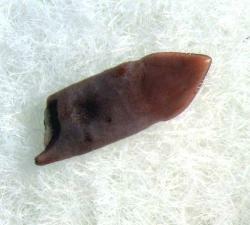 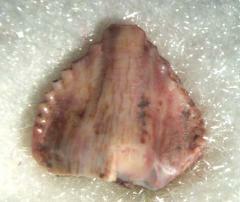 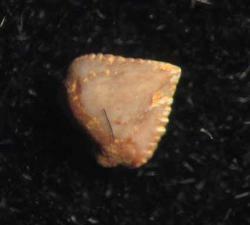 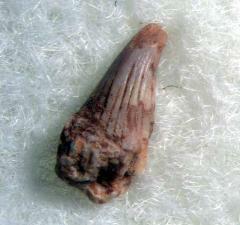 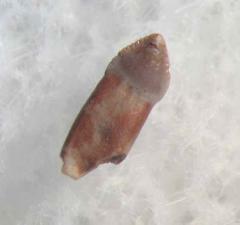 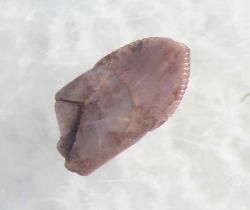 Only a small tooth at ~2 to 3 mm but none the less a rare example. 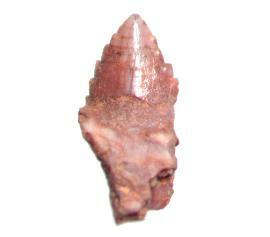 long with nice tips and crisp serrations.